Tires are some of the most important safety components on any vehicle. Maintaining proper inflation and rotating your tires at scheduled intervals are vital processes for preventing wear and avoiding dangerous blowouts on the road. It is important to regularly check for these tire wear warning signs. If you are starting to notice any of these signs of wear, a failing tire may not be far behind. No one wants to be stranded on the side of the road waiting for assistance or putting on a spare, and that is the least dangerous scenario. A tire blowout on the freeway could lead to a devastating accident. New tires don’t only mean safety, they can also mean performance. Different tread types can increase traction for quicker cornering and improved braking distance. Fresh tires can improve fuel economy by staying inflated longer and having even tread all around. A set of winter tires can grip better in the rainy months and make it easier to get up to the mountains on weekends. Looking for new tires online can mean navigating a labyrinth of different brands, sizes, and tread types. There are summer, winter and all-weather tires. There are different sizes and performance ratings too. With all these options, it can be difficult to decipher what set of tires is right for you and your Toyota. – What load index is necessary for my vehicle? If I haul cargo or tow anything does it change? – What speed rating do I need? What if I do mostly highway or city driving? – Can I get a different tire aspect ratio without new wheels? Take the guesswork out of buying new tires and visit our online Tire Center. With simple searches by model, year and trim it makes it easy to find tires that suit your Toyota and to compare prices. 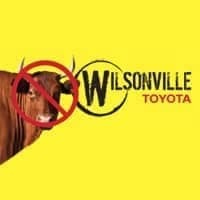 Or you can schedule an appointment with a tire expert at Wilsonville Toyota. Trust your local Toyota-trained advisers to get you the right set of tires for your vehicle and the unique and ever-changing driving conditions of the Northwest.